Everyone knows that kids grow quickly and having the right shoes is instrumental in not only protecting their feet, but in allowing them the ability to play their sport of choice to the best of their ability. Here are a few tips for keeping them safe and finding the right equipment. 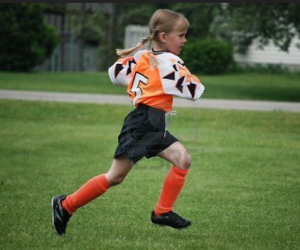 Many kids choose a sport and lose interest after a few short games. This makes many parents skeptical because they don’t want to invest a lot of money into something the child may not enjoy doing. Luckily, kids can play the sport in tennis shoes until you decide that they are dedicated enough to invest a bit of money into the sport. You should purchase a pair of tennis shoes for them to use specifically for soccer, though. These shoes will get grass stains and dirty, so they shouldn’t use their good pair of tennis shoes for it. Soccer is a popular game throughout the world. In the past decade, the sport has gained much popularity within the states, and many young people are choosing this as the sport of choice over others. Soccer turf cleats are a bit of a hybrid between traditional cleats and tennis shoes. There are no prongs on the bottom, which brings a disadvantage when playing outside but for young children, this is often the only type of cleats they are allowed to use. These cleats are specifically designed for playing indoor soccer on turf. Classic cleats are not allowed in this type of environment, so players must use turf cleats. They are more sturdy and not as bulky as tennis shoes, which means they’ll hold up longer. Plus, the lack of prongs on the bottom make them safer for younger children to play in. These cleats are used by the majority of soccer players around the world. They are cleats in every sense of the word. You will find prongs on the bottom of these shoes that help you get traction when running across the field. These classic soccer cleats make it easy to change directions quickly because the prongs dig into the ground. It also makes playing in wet conditions a whole lot easier. If you were running around in turf cleats or tennis shoes, the lack of prongs on the bottom would leave you slipping and sliding all over the place. If you’re worried that you child may not enjoy the sport, regardless of your encouragement, it’s wise to let them play a few seasons using tennis shoes. As young kids, you may find it safer for them to play in turf cleats until they really learn the game to avoid injury from the prongs on the bottom of the classic cleats. How Much Sleep Does a Mom Need? I am incredibly protective of my children’s bedtime, but I don’t watch my own bed time at all. I have not gotten a good full night’s sleep in over six months. My breastfeeding 6-month-old boy is still waking up 2 to 3 times a night to nurse. 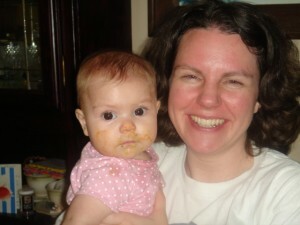 Before that I was hugely pregnant and didn’t sleep well with all that kicking and heartburn. Sometimes I really believe that it is God’s grace that keeps me going. Many nights I only sleep about 6 hours. It is incredibly tempting to stay up late after the kids go to bed. This is my time. I can watch what I want on television, hang with my husband, get online without interruptions, read, clean or go out with friends. I LOVE the night time! I have also recently started training for a marathon. I have to get up around 6:15 a.m. and get my miles done first thing in the morning, because of the hot weather and our family’s schedule. My husband takes care of the kids when they wake up, but I still need to get back quickly. My baby boy needs to nurse and my husband has to get to work when I get back. I try to get bed early the night before a long run, but even then I find myself staying up reading a book. I know I need more sleep, but I don’t do anything about it. I love that I get to stay at home with my kids and can move slowly in the morning if I need to. Somehow I recover the next day. I get dressed and get done what I need to do without complaining. I am the one who chose not to go to sleep. My son goes to sleep at 7:00 p.m. So even though he still wake up 3 times a night, I have no excuse not to get to bed at a decent hour. Perhaps I can just function on little sleep. I think a lot of moms do. The amount of sleep I get is something I have been thinking about this week. What do you think? Can you function on little sleep? Do you notice a difference in your attitude if you do get better sleep? How much sleep do you really need to function well the next day? In honor of World Breastfeeding Week, I wanted to highlight a book that offers hope, encouragement, and information that will help women overcome some of the devastating issues of low milk supply. The Breastfeeding Mother’s Guide to Making More Milk by Diana West and Lisa Marasco has been an eye opening book for me. 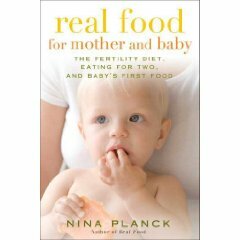 As someone who struggled with a low milk supply while breastfeeding, not once but twice, I found this book amazingly helpful as I read it. I heard about it from another birth teacher. Oh, how I WISH I had known about this book after our third baby was born almost two years ago! (It wasn’t written 6 years ago when my first was born) I don’t know that all my breastfeeding problems would have been solved but it would have offered me some peace and answered several of my questions. I love nursing and it is a real struggle for me that I have had so much trouble feeding and sustaining my babies on breastmilk alone. Making More Milk explains the biological process of how breastmilk is produced. It explains how hormones, the mother’s physical development, the baby, and the mother all work together to make a plentiful supply of milk. This book covers more detail than any other breastfeeding book I’ve read about problems that can effect milk supply. This book is FAR more than a “just pump and you’ll increase your milk supply” solution to milk supply problems. It covers in detail ideas about how to make a plan for managing milk supply, preventing low milk supply, altervative treatments and possibilities for treating low milk supply. It is the only book I am aware of that was written specifically for women who have difficulties with milk supply. Each chapter has helpful information and things to consider when dealing with milk supply problems. If you had trouble breastfeeding with a previous child and want to try again but are nervous about trying because you are scared you’ll run into the same problems, I highly recommend this book. If anything, you will probably gain a better understanding of WHY you have milk supply issues. Have you ever heard of this book? Struggled with low milk supply? Scared to try again? Tell us your story! Being a mommy is great, but feeling pretty all the time for our men isn’t always easy. I have a wonderful friend, named Beth, who is pregnant with her third baby. She is due any day now and sent me a comical story that actually happened to her just a few days ago. I thought it was a humorous look at some of the things we do to make ourselves feel pretty. I asked her to be a guest writer for this week and share her story with us. I’ve known Beth for over 10 years now. We lived together for two years in the late 90′s before my husband and I got married. Beth is an amazing woman. She is honest, loving, authentic, and the kind of person who makes you feel safe to open up to. Her children are fortunate to have such a great woman as a mother. My name is Beth Hernandez. I live in San Antonio, TX with my husband and three children, ages 5 (son), 2 (daughter), and soon to be born son! In general, I am what many would consider an extreme extravert, though God seems to be balancing that more lately. Though my husband and I feel most at home when our house is filled with people and our schedule is busy, we have learned to set a few emotional boundaries to keep our health and relationships stable! By trade I am a secondary Math, Science, and English teacher. Currently I am a homemaker who tries to keep her toe in the broader Education field through tutoring and short term, very part time contracted teaching positions (like a summer program called Jumpstart through the University of Texas system or some private school affairs). I home school my oldest kids, which is great fun! I love to read and share what I’ve read with others. I enjoy writing, and I am learning to share that with others. My husband and I are an active part of our church community. Some ideas are better left un-tried when one is 9 months pregnant. Case in point: waxing one’s belly. Background on this adventure may or may not be necessary, but just in case, when I was in my early and mid twenties, I thought it extremely important to have as little body hair as possible. The reason for this is that one never knew when one would meet the man of her dreams, and potentially run away to get married very spontaneously, or if one would find herself in the hospital stripped to her undies for some terrible surgery situation wishing all that hair wasn’t so thick and exposed. (By the way this is the same logic for wearing matching bra and underwear sets!) An added bonus for hair removal was that I was always prepared for spontaneous swimming situations (though I can’t recall if those ever really happened spontaneously). So I engaged in the painful ritual of waxing certain “bikini” areas when necessary. I’m sure I had a formal process for this feat, though it eludes me at present. The truth about getting married—even if one does run away to Lake Tahoe very spontaneously to do so—is that eventually one falls into a comfortable routine with her dear husband. This is especially true after having children. Now please don’t interpret this as not looking my best for my husband; I continue to make the effort to be as beautiful as possible for him. Realistically though, as the budget got tighter, things like waxing gave way to razors for cost purposes, and some days making the extra effort to remove all the hair was not as important as taking time to deal with the emotional and spiritual needs of my young children and actively loving my husband in many good ways. I also began to realize, in the particular case of my own husband, that my hair removal process on the whole was more for my security and self image than his pleasure. Having exposed all that, I come to today. Today, I am 39 and ½ weeks pregnant with our third child. My belly is extended farther than I care to describe. I have been bemoaning the hair on the lower section of my belly since it fell exposed under my maternity blouse to my 2 and ½ year old daughter when she ran to hug me last week. She said it was “pokey” when her cheek rubbed against said belly. I’m not sure that this “pokey” hair is terribly noticeable to the average adult, but small children “tell it like it is,” and I felt that shaving was just too dangerous a venture at this point (due to limited visibility and coordination—which may have been a good reason to forgo the waxing, as well). So when I went to Target today, to buy a few household items, I stopped in the beauty section to find some wax. I decided I owed this “indulgent luxury” to myself. It had been about 5 years since I subjected myself to the torture, and had clearly forgotten the painful process. Tonight, after everyone in the house was asleep, I removed the wax and sticks and directions from the package. I read them carefully, noticing it was not exactly as I remembered, but things change some in 5 years. I microwaved the wax container for 30 seconds, which should have deterred me then and there. Our microwave does not like certain items (like butter, and apparently wax). I had to flee the kitchen for fear of my life as what seemed like lightning bolts erupted inside the 15 year old monster microwave. When the timer beeped, I tiptoed back into the kitchen, carefully opened the door, and pulled out my wax. It seemed the right consistency, so I continued with the process. Back in the bathroom, I set up a mirror on the toilet seat, so I could see the underside of my belly, and began applying the sticky goop in the direction of hair growth. My first mistake was probably spreading the wax on too thickly. My second mistake was leaving the box of fabric strips on the floor. When I leaned over to grab one, my belly stuck to my leg, the wax container fell to the floor, and the spreading stick began to drip all over the toilet seat. As I pulled my leg painfully off my belly, I began to laugh, realizing this is the stuff sitcoms are made of: images of “I love Lucy” and “Anne of Green Gables” dancing in my head. My dear husband sat up in bed at this point to see what on earth was causing me to make such a racket! He rolled his eyes when he saw me and lay back down probably wondering about his choice in women. Determined, I continued in this venture. I stuck the fabric strips on my belly and pulled. OUCH…OUCH…OUCH! The great unfortunate point here was, again, mistake number one: I spread the wax on thickly. I succeeded in removing no hair but still subjecting my belly to deep pain. (Which by the way should have put me into labor, but I am under the firm suspicion that this baby is too wise to the outside world and has decided he’d rather spend his days warm, well fed, and safe in his current cramped quarters!) I tried again with new strips, only to realize that though I was raw, I still had hair because I had pulled the strips in the wrong direction! Here, wisdom entered my heart and I decided to give up this disastrous adventure. Sadly, mistake number two came back to bite me. Along with the fabric strips, the “soothing oil” was on the floor in the box. I can’t tell you how many places I had wax after finally getting the little bottle from the floor. I might have saved myself the trouble. The oil did not do a great job of removing all the sticky wax from my body (see mistake number one). Between the failed waxing job and scrubbing frantically all over with soap and a scrubby after applying the oil, I am now raw and hairy and unsure of why we subject ourselves to such torture as women…I don’t think I’ll attempt waxing again, unless I can afford a professional and some REALLY GREAT WINE! Thanks for reading my confession…I felt keeping it to myself would only be self indulgent. Okay Mom Crowd, Welcome Beth this week and share some of your stories that happened to you!